GoFind XR's ICO. Join Now! First decentralized social media platform on Extended Reality. GoFind XR is holding an Initial Coin Offering(ICO) to all users that are interested in Extended Reality on blockchain social media. This ICO will be running for more 67 days. Without further ado, you can go check out the ICO details from here. GoFind XR has gotten a few things up its sleeve, it's building a new kind of Internet, an internet that is not 2D, you can call it the 'XR Web', Users will be able to interact with the world in real-time using our digital devices. It will also be used to host digital assets, build navigation tools, entertainment and social media applications. GoFind XR is partnering with Oracle-D a platform that builds communities on blockchain to come up with decentralized social media platform that rewards users who share content. This content that will be shared can be 360 degrees videos and pictures. Users will be rewarded through a Steemit standard reward system along with XR tokens that later will be exchanged for another cryptocurrency. The virtual currency used on GoFind XR platform is an ERC-20 token called XR. XR token will be used for so many activities on the GoFind XR ecosystem. Users will use it to buy XR land(digital space within AR geolocated on earth), stake a minimum of 500 XR tokens to earn rewards from GoFind revenue generated from advertisements. Users can stake their tokens using XR Estate web app that can be found on the play store. XR token can also be used to make general transactions within the GoFind XR ecosystem. Pre-sale price of XR token is at $0.10 and the actual price of the token is $0.15. Some early ICO participants like steemit users and some investors will get discounts. Why you should invest in XR tokens. Because you believe in the future of blockchain. This is the future we are looking at, the internet has been evolving for a long time now and we can all tell that Augmented Reality will be a game changer in the technology world. Combining artificial intelligence with extended reality will determine the future of computing. XR Web can be transparently allocated with democratic principles, this particular technology calls for transparency and reliability. XR tokens are already established tokens backed by a solid project that will stand for generations, they will begin trading on public crypto exchanges that act like stock exchanges to set the prices through buying and sell orders. There will be a demand for XR tokens since no new tokens will be created after the token sale, about 455million XR tokens are on sale right now. So we are expecting good liquidity. It is estimated that the AR industry is going to grow by about 700% in the next 5 years, GoFind XR is pushing a technology that has one of the fastest growing markets in the world. A decentralized ecosystem is what the world needs right now. For more about the future prospects of this project, check out its road map from their site. Go here and register for the ICO, there are some offers as well. 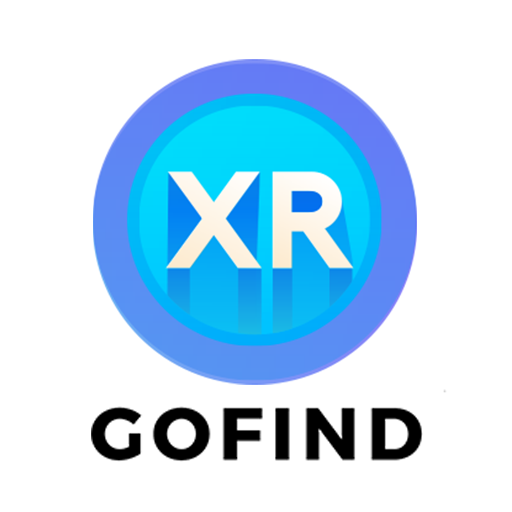 Pre-sale price of XR tokens is at $0.1, ETH, BTC, XRP, LTC, and fiat will be accepted as payments for the XR tokens. 1 ETH or its equivalent is the minimum investment. Steemit users can purchase XR tokens at 0.1 STEEM each, 10 XR tokens will cost about $0.5(current steem price), other users will pay $1.5 for the same tokens. How do Steemit users Join the ICO on a discount? The tokens will be deposited in your ERC-20 wallet, you can use Coinomi, Metamask or MyEtherwallet. Get 60% discount by registering through this link. Don't miss this ICO, join now and set yourself for the future of blockchain. This is not financial advice. Please do your own research before investing in cryptocurrencies or any digital asset. This blog post is done for entertainment and knowledge purpose only.